In 10-inch cast-iron skillet, heat oil over medium heat. Add onion, bell pepper, salt, cumin and coriander; cook 7 to 9 minutes, stirring frequently, until vegetables are softened. Stir in tomatoes, chicken and chipotles; heat to simmering. Reduce heat; simmer 5 minutes to combine flavors. 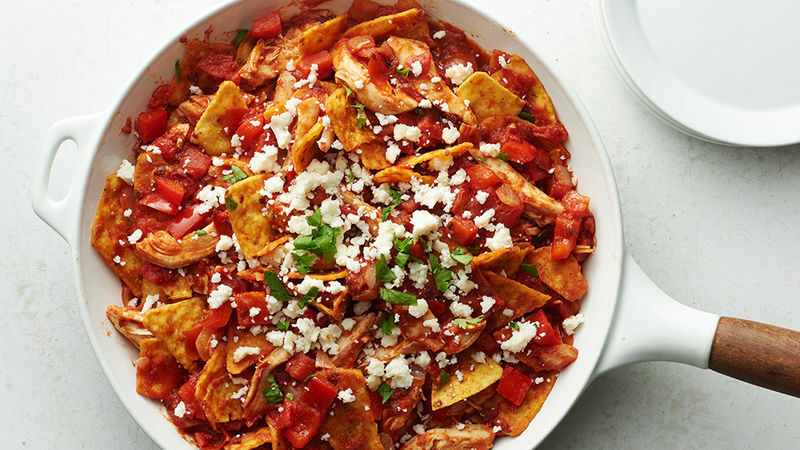 Stir in tortilla chips; top with cheese and cilantro. Serve immediately. Rotisserie chicken makes this recipe quick and easy, but any leftover chicken or turkey will work well. Don’t have a cast-iron skillet? A regular 10-inch skillet makes a fine substitute.